Joe Thomas’ streak of 10,000 consecutive snaps played is equal parts toughness, luck and by design, to hear former Browns teammates and coaches tell it. 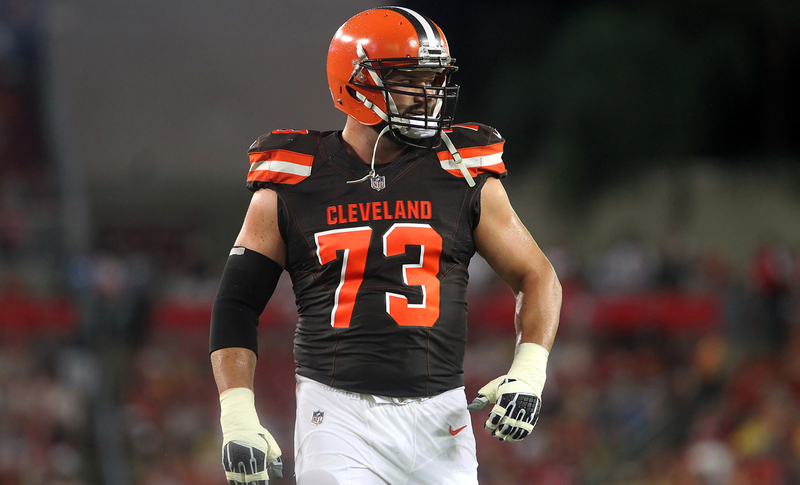 Joe Thomas has started every game for the Browns since they picked him third overall in the 2007 draft. This one is easy: Joe Thomas is a monster, and his accomplishment of reaching 10,000 consecutive snaps played was, if anything, underplayed this week. And I reached out Wednesday to a few people who worked with Thomas, and they confirmed our lesson through their memories of him. The story relayed by Mike Pettine, Thomas’ coach in Cleveland in 2014 and ’15, was one that Thomas himself told our Peter King on Sunday night. “The famous Vinston Painter incident,” as Thomas called it, is a story so good that we’ll have Pettine tell it again. “I almost ended the streak!” said Pettine, who’s now working as a consultant with the Seahawks. “We were beating the Steelers at home, we were up big in the fourth quarter, and I said on the headset to the offensive staff, ‘Hey, if you’ve got anyone you wanna get out of the game, go ahead and get them out.’ … Andy Moeller, the offensive line coach, sent in a replacement for John Greco, and had somebody to go in for Joe, a young lineman by the name of Vinston Painter. “And next thing I know, Vinston goes running into the huddle and comes running right back. Joe kicked him out of the huddle. Andy’s on the headset, and Vinston’s got a very confused look on his face. ‘He shook me off.’ Here I come to find out after the game that he’s got this streak going. None of us knew. Schwartz’s streak, by the way, is still going, two games into his sixth NFL season, his second with the Chiefs. (His brother Geoff tells me that Pro Football Focus has Mitchell at 5,625 consecutive snaps, if you’re counting.) And yes, the guys knew. Luck, of course, has played a role in Thomas never having to come out, considering that beyond just the inevitability of injuries in football, how the most mundane of events (like, say, a bent facemask) can cause an NFL player to miss a snap or two. But there’s also a method to this. One thing raised by everyone I spoke to Wednesday was Thomas’ devotion to maintaining flexibility through resistance band work that would lead to him regularly being the last one off the practice field. “That was his thing he didn’t miss,” said Pettine. So part of it is luck, and part of it is by design. And part of it is just plain toughness. Thomas told King that he played through a Grade 2 LCL tear, three MCL strains and two high ankle sprains. All of it is crazy and hard to believe and remarkable. And most of all, it’s indicative of who Thomas is. Always there seems like an understatement.